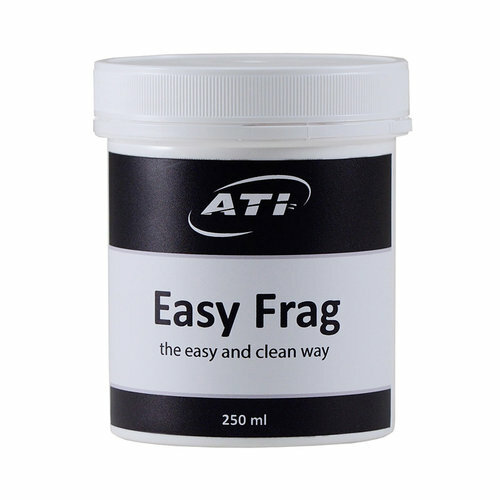 ATI Easy Frag is a medical grade polymer which has been specially designed to attach corals to rocks and it is the perfect adhesive for creating an advanced aquascape in your aquarium. 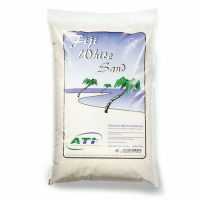 ATI Easy Frag is a medical grade polymer which has been specially designed to attach corals to rocks and it is the perfect adhesive for creating an advanced aquascape in your aquarium. Just add the polymer beads to hot water and you have a workable putty that is completely safe to use with your corals and in your aquarium. Its extra fast setting time and clean, mess free and simple application make it the industry leading glue for coral fragging and all your aquarium needs. Please note. not all thermal polymer glues are the same. 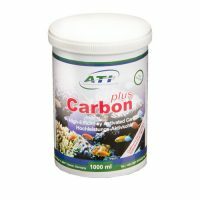 ATI Carbon plus is a new high-performance activated carbon having improved pore structure for crystal clear water in freshwater and saltwater aquariums. 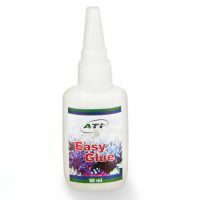 ATI Easy Glue is ideal for fixing/mounting SPS Corals, zoanthus, soft and leather corals. 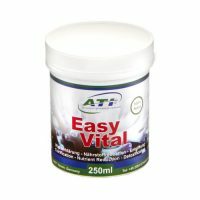 ATI Easy Vital is a highly active, natural clay mineral based product.